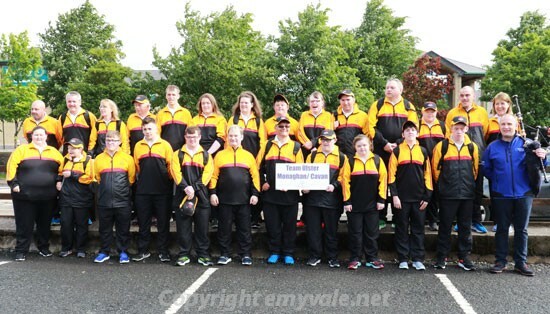 A group of Monaghan athletes and their coaches headed off from Monaghan on Thursday morning to take part in the Special Olympics over the next few days. 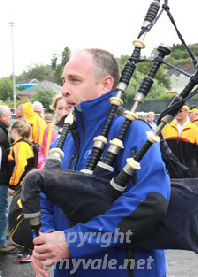 There was great razzamatazz in McNally's Car Park as the Piper led athletes marched to their bus with plenty of support from family and friends, who were there to see them off and wish them every success. 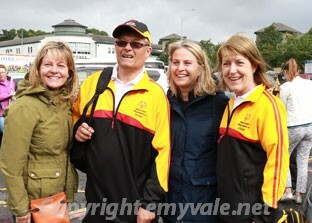 There was no need to tell them to enjoy themselves as they know better than anyone how to enjoy the various situations in which they find themselves - situations which have been organised for them by caring people and wonderful volunteers. WE look forward to some success and no doubt there will be celebrations on their return. 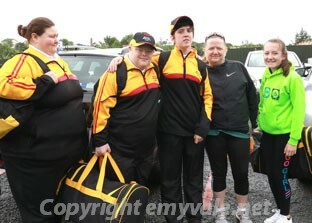 What an amazing time sixteen athletes from Monaghan Special Olympics Club and two from Errigal Truagh Special Needs Centre had at the National Special Olympic Games in Dublin from the 14th to the 17th June 2018. It was three days of tough competition, excitement and especially fun. 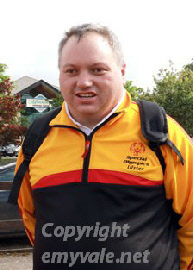 It was the first time for most of the athletes to compete at national level and be away from their families for 3 nights. The standard of competition was very high and our athletes all achieved personal bests in all competitions and are rightly really proud of themselves. 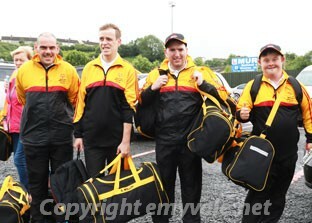 They put their best into all training sessions at home and with Team Ulster over the last year. They are a credit to all their families. 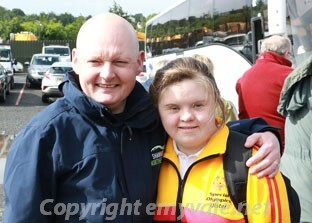 The athletes couldn’t have gone to the Games without their Coaches/Chaperones. Thank you to the 6 who travelled to Team Ulster training sessions and not only got to know our own athletes but had to get to know the other Team Ulster athletes, some of whom they were responsible for too. 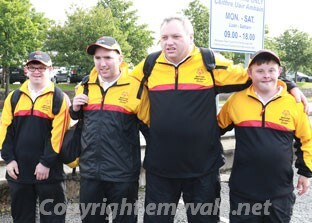 Thank you to all the family members and supporters who went to Dublin over the 3 days. It meant so much to the athletes to have your support and to share their success and excitement with them. 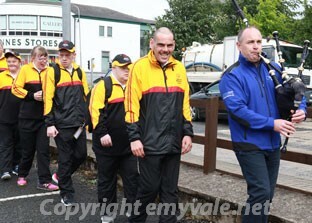 Thank you to all who came in to Monaghan town last Thursday morning to see them off to the Games and wish them good luck and to all who came to welcome them home on Sunday night. Thank you to all the well wishing texts that the teams received. 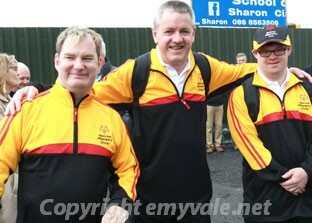 Thank you Rory Geary, Northern Standard, to Emyvale.net, Gary McEneaney, Monaghan Pix and Sean MacCaffrey, Northern Sound for your continued media coverage of Monaghan Special Olympics Club. Thank you very much to all the Sponsors who were so generous, without whose support the Club would have struggled to send the athletes to the National Games.